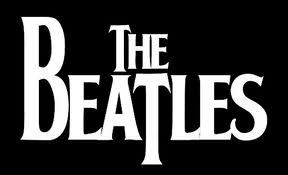 The Beatles. You do not have to like their music but you know who they are. Everyone knows who they are because they are the biggest band EVER! Paul, John, Ringo, George are household names no matter the country or place. The reason they are so famous is not all because of the music (though that is part of it) but as it is laid out in this book by Richard Courtney and George Cassidy they are famous because they have business sense. "mop top", play guitar, or sing to have business smarts. But you can model yourself like the Beatles did and then create an "empire". With each chapter the authors lay out why the Beatles are so successful and then they tell you how you can achieve the same type of status. Alright, not everyone can be a household name, although everyone can be successful in life. It is through hard work and dedication that a person can achieve success. Throughout this book we are told how hard the Beatles work to be so successful and how many ups and downs they went through. When I finished reading this book I felt better about myself. In someways I even felt empowered to apply some of these examples into my own career. I am a Beatles fan because their music and after reading this book I realized they were more than just a band. Together they became an EMPIRE.